Designli Client Reviews, Rating and Analysis Report. 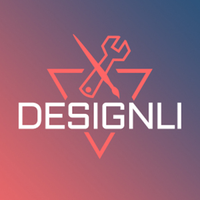 Designli We Build Apps for Startups and Entrepreneurs. At Designli, we build mobile apps and custom software using a completely transparent, fixed-price design and development process. Our mission is to make your life easier by adding certainty to custom software design, so you can focus on making your customer’s lives better. 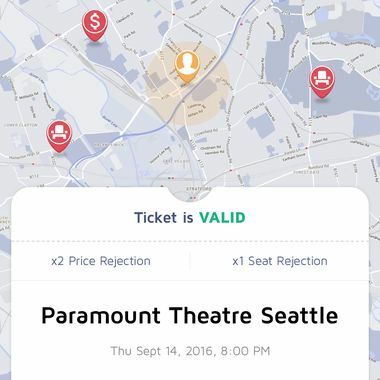 ScalperCheck is a brilliant solution to a common problem: scalped event tickets. If you've ever purchased a ticket outside of a sports stadium at the last minute, for example, how can you be sure it's not a duplicate or a fake? Simply scan with ScalperCheck. 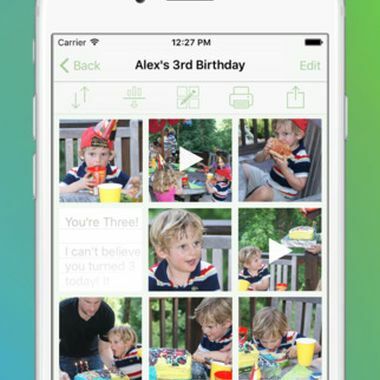 This app is being built on the iPhone and Android platforms. HOPE is a social network for those diagnosed with illnesses; this allows hospitalized people to socialize in a secure, private environment - to share inspirational pictures and to find others that can relate to their current situations. I have worked with Designli llc. for several months now and its been like working with a family. And they want to be sure their family is taken care of. Their concern for your app design is as important as the name Designli llc., because you see, to me their name and reputation means more to them than most people and they understand that like their name your app is as important too. I respect that. They respect you. And the job they have done for me was more than I had even expected. I am very happy to have chosen such a talented, work driven group of people who care about me. Choose them and you wont be disappointed! For real!! By Logan Metcalfe, CEO, Arkiver, Inc.
Designli built the Arkiver Android app and made improvements to our iOS app. Their development teams are talented and our project manager was very responsive. As with any project, there were a few development issues we ran into that impacted the timeline but the guys at Designli are totally client focused and always did what needed to be done to make things right. That's why we continue to use them for our mobile app development. From the very beginning, I approached Keith Shields and Joshua Tucker with this project - having worked with them on a few of my app ideas on Applits. I found these 2 individuals to be exceptionally trustworthy and to be masters of execution - after all, it's not easy to develop and publish an app every month - with most of the app ideas submitted by the public with not as much tech knowledge compared to your average app developers! Working with Designli has been an enjoyable process. We had a specific project manager (Mr. Jake Bowles) who was assigned to the project. He was our go-to person should there be any queries, for us to get updates about the project etc. They have great designers, too. Often what they come up with is much more aesthetically pleasing than the final product that we envisioned! In terms of payment, Designli is 100% transparent with their charges - no surprise nasty fees, which is so great for a smaller company like ours. In addition, Keith and Joshua have been extremely supportive along the way - these guys have a wealth of experience in the tech field, and their ideas and advice have contributed so much towards bringing HOPE to life. TLDR - Great designers, reasonable cost, bunch of talented people in the team and trustworthy. These are the guys I would go to for my next big app project. "If you're looking for a full-service app design/development company, run by people you can trust, I can recommend designli.co and its co-founders Josh Tucker and Keith Shields. I first approached designli.co in 2014 after they won an inc.com award http://www.inc.com/diana-ransom/the-coolest-college-startup-of-2014.html . At the time I needed help to create the first version of an app called Thingealogy® which is designed to help senior citizens record and save the stories of their memorable belongings. Designli.co jumped right in to the development of the app in a price-conscious and very through manner. Since then I've worked with them on a number of projects related to Thingealogy®. They are responsible, accomplished problem solvers who love what they are doing and care about the product they deliver."